Valentine's Day, when you have a learning disability. Home » Holiday fun for everyone! » Valentine’s Day, when you have a learning disability. Valentine’s Day, when you have a learning disability. That being said, many people do not understand the stress and struggle that may accompany Valentine’s Day for some kids. I hope that you can read it and share it with your teacher, PTA and other school staff. Let’s make Valentine’s Day fun for everyone! After all, that is the point, right? Then, in our Facebook group, a parent posted this: So, this may seem petty but it’s huge in our house. My daughter is 5 with high functioning autism. She is in an integrated kindergarten classroom. She has her Valentines Day Party at school today. We started doing Valentines for Family and friends Wed. Night. In her school Backpack there’s a letter that reads, just have the kids sign their name on valentines. Because we have bags we made to just drop in… Now, as little as this. This creates huge problems for Grace and myself. Is it wrong that she’s angry? Is it wrong I’m angry? I wrote a letter in her journal book explaining that Grace enjoys picking out Valentines for who she’s giving them too. She enjoys writing their names, and writing her name. (Even though it’s hard to read)..She loves to give. Now it’s just a generic whatever. The teacher never wrote me back so now I’m stuck writing her name on 25 Valentines because she doesn’t want to do it now. I agree, my son has autism and we did valentines last night also. The teacher gave a list of all the names and my mother in law said “wouldn’t it just be easier if we left the name off and just filled in the from, they are all the same anyways?” I said no, it’s important for my son to hand the Valentine to the other child, give them the treat, eye contact, say happy Valentine’s Day (insert name) etc. Its communicating which my son lacks and giving and receiving a card or treat/expressing love for someone is what this holiday is about. It’s learning about the social cues of friendship and even a touch of love! So I agree, other than Christmas or a birthday, this is a holiday that should be personalized since teaches lessons about relationships. My son had dyslexia and dysgraphia and ADHD. I prefer when teachers do not require each child’s name on the valentine’s day card. Making him write his name 30 times is hard enough. Making him write each child’s name and his name is miserable. It’s not worth the 3 hrs that is taking away from his other homework time and free time just for vday card. And valentine’s day cards are kinda impersonal anyways. I have kept one card that I received in 3rd grade. It read “To Karen. I don’t like you but I have to give you a card. From (and the boys name)” For years I held on to the card because it was a hurt I couldn’t let go of. Now I hold onto it as a life lesson. We should make sure all kids receive cards from everyone on vday. But there is a line. My son now hates valentine’s day because the last few years have been so difficult for him to write the cards. I hated it because there was a personal note on the card. I prefer blank cards. But I do understand your concern. And agree that it is very impersonal. Just like accommodations are made at school, we make them at home too, so I do what ever fits for us at home and my kiddo. If the end result is similar, I’ve only had one teacher say anything and I explained the reasoning. We also buy early and ask for the list early and only do a few a night. I made stickers made with his name and a rubber stamp that we’ve used in the past. And I would also like to mention, that in earlier grades we used Dragon- the speech to text software for writing projects. He could just say his story in the mic and print. Just because he could write it didn’t mean he didn’t have something to say or a story to tell. 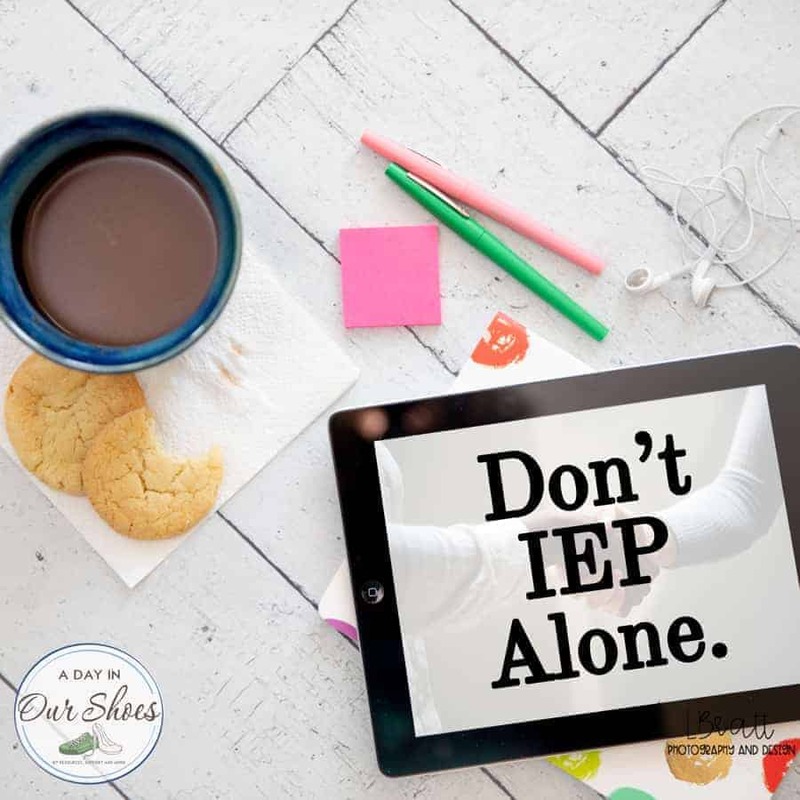 I strive for independence so we use many if these work around to accommodate him so he is actually doing the project or assignment and not me or dad. Abbey started crying 1/2 way through writing her name (they want “Abigail”) as it hurt. I finished them for her. One thing I love about my readers and Facebook group is that they have awesome solutions. So here are a few ideas to get rid of the tears and frustration at Valentine’s Day. Think about what areas of need your child has (social skills, communication, writing, etc.) 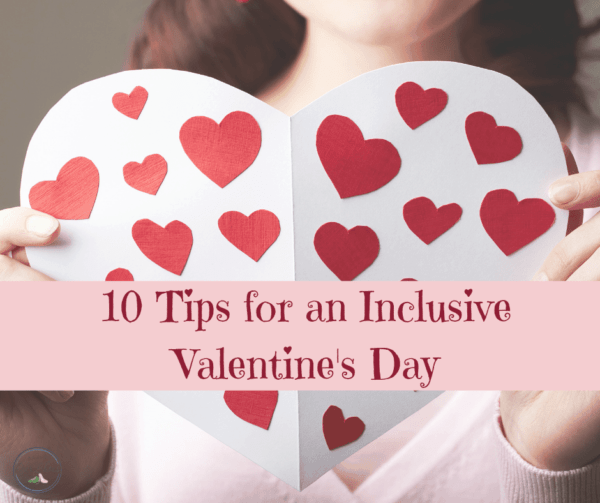 and think about how you can incorporate addressing those needs (or practicing) using Valentine’s Day. Ask your teacher about special diets, food allergies, Type 1 Diabetes, etc. Better yet, instead of candy, if you must buy a small token gift to go with the Valentine, choose a pencil, eraser or stickers. Celebrate Valentine’s Day at home, no matter how small your celebration. I get the kids and hubby a card and we have collected a few Valentine’s Day themed books over the years. Keep in mind the needs of the class or the teacher. Some kids may really struggle with reading and distributing cards with all the other kids’ names on them. Don’t buy a box or set of Valentines that is mixed if your child struggles with decision making. Find something cute online and print them. Many Valentines are sold in boxes that have an assortment of 4-6 different cards, and if your child really will want to send a particular card to a particular classmate, don’t buy items that give them that option. Buy or print 25 of the same card. Or plan to use this activity to work on making decisions (in a timely manner!). It goes without saying, but make sure they give a card to every child. « Massive list of 100s of indoor play facilities for kids~greater Philadelphia area, NJ, DE!